Caftans are the perfect cover up at the beach. They're also super cozy as loungewear or a casual maxi dress. I thank Ms. Roper on Three's Company for the trend. It seems to have made a resurgence lately. I'm seeing them everywhere or maybe I'm just looking for them everywhere. 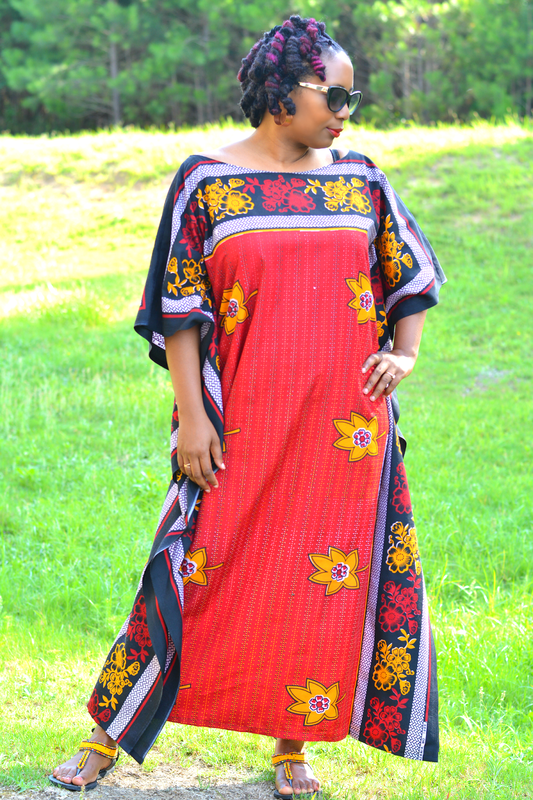 This style is a bit more casual than the ankara caftan I made and easier to sew up. I used kanga african print fabric this time. 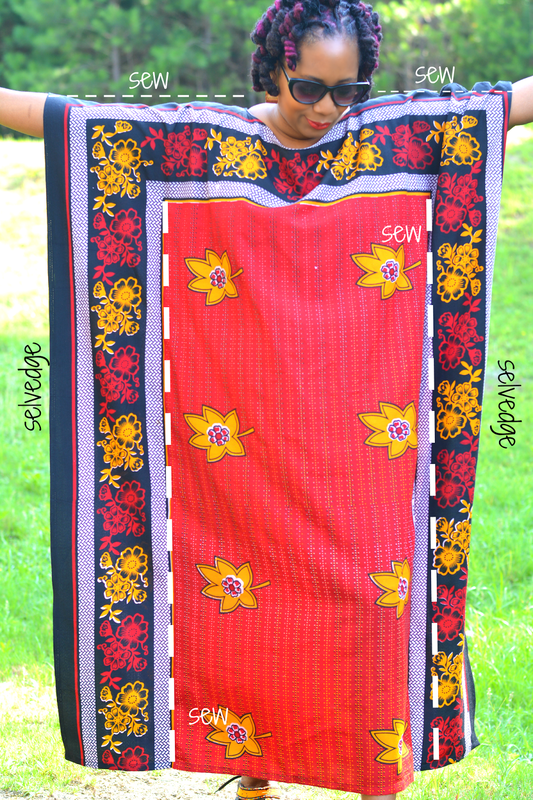 Kangas are a multipurpose african garment that usually have a swahili phrase printed on it. Mine says "Parents are a treasure". Yes they are. 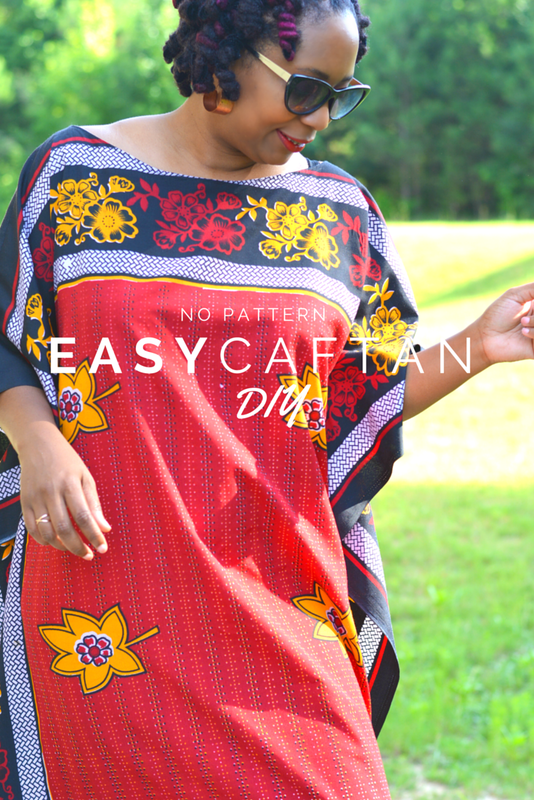 I've included a tutorial in case you want to join me in the caftan gang this summer. This is a one size fits most project. There's math involved. Otherwise, it's a pretty easy project for beginners or if you're looking to get your sewing groove back. Fold each piece in half, lining up selvedge to selvedge and cut the neckline on the fold. Start at the top of the fabric about 5" from the fold and move towards the center fold. My neckline is extra wide by mistake because I started 6. 5" away from the fold. 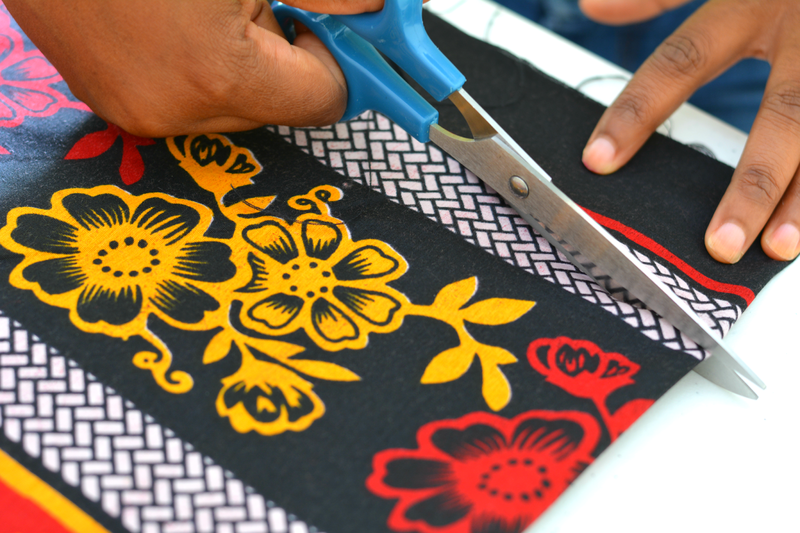 Use the cut off piece as a template to cut a neckline for the back piece. Make a mark on each side of front and back for the armholes 9" below the top raw edge. Staystitch the neckline to avoid stretching when applying bias tape. 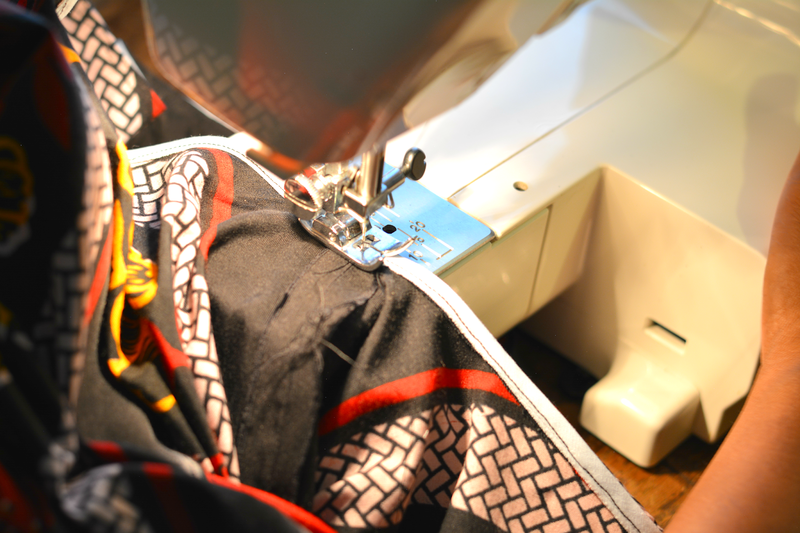 Attach the front and back pieces by sewing a .5" seam along the top raw edge. Right sides together. Sew the bias tape to the neckline. I'd google this technique if you've never worked with bias tape. It's not hard but it requires going a bit slow before you whizz along through the next steps. Sew a 1" hem at the bottom. Whew, now that you've got that out of the way, here comes the math. Measure your hips or largest part of your body. Divide by 2. Add 4" for ease. Measure the width of your fabric from selvedge to selvedge. Most fabrics are either 44" or 54" wide. Measure for accuracy. Mine was actually 42" wide. Take the hips (plus ease) measurement away from the width of your fabric. Divide by 2. Turn the fabric right side out. Sew a side seam x (9.25 for me) inches away from the selvedge on each side. Stop when you reach the armhole marking. By the time you read this, I'll be on my birthday (yep, that's today) thriftacular (nope, that's not a word) adventure with my homie. You can follow our shenanigans at #ThriftacularAdventure. Do you have a caftan in your closet?